Twist & Loop: Needle Felted Pumpkin! Here is my first needle felted pumpkin! It was so much fun! Send me ideas for more projects! Here is a link to the starter kit I use. I have watched many youtube videos on the subject, trying to teach myself different techniques, and it seems as though I am using the wrong grade of wool for needle felting. 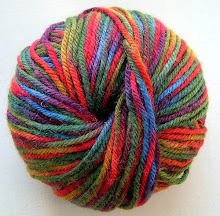 I am using roving which is very straight long fibers, excellent for wet felting, but what I really need (and will be getting my hands on soon!) 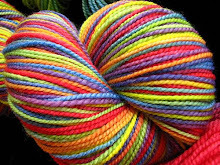 is wool batting which is less expensive, has shorter fibers, is already a bit disorganized (cutting back on the amount of needle pokes you need) and has a less processed look to it.